Cam teamed with Kinetic Ventures in 2008. His activities focus on communications, software, and financial services. He is a Director of LeaseTerm Solutions, HotSchedules, SchooX, ITC Capital Partners, and OPTii Solutions, among others. He is also Chairman of ITC Holding Company, LLC. He was formerly a director of Cardlytics (NASDAQ: CDLX), TowerCloud (acquired by Communications Sales & Leasing, now Uniti Group; NASDAQ: UNIT), and LogicBlox-Predictix (acquired by Infor). He has led investments in Seasoned and Instant Financial. 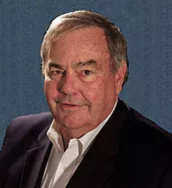 Earlier in his career, he co-founded Interstate Communications (Telecom*USA), which grew to be the fourth largest long distance service provider when it was acquired by MCI in 1990. Cam was the founding investor and Chairman of Powertel (now T-Mobile), which was acquired by Deutsche Telecom in 2000. He was also the founding investor for Mindspring, which later merged with EarthLink, and the founding investor in Firethorn, a mobile payments company that was acquired in the fall of 2007 by Qualcomm. In addition, Cam was the founding investor of ITC^DeltaCom, Knology and InterCall.